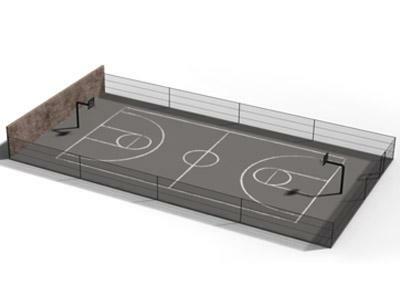 This is an outdoor basketball court that provide you everything you need, the concrete floor, Chain link fence , the chain net and even a wall so you can place some graffiti if you want. All that is left to do is to place your characters and have fun with it. If you like this model and if you can afford to, please consider making a donation following the link bellow, Thank you. MikkieD (2 years ago) Inappropriate? DoValle (3 years ago) Inappropriate? SimonJM (4 years ago) Inappropriate? Hend (4 years ago) Inappropriate?